The results of the GCE A/L exams have brought successes and victories to hard working students, especially to those from the outstations and rural areas. As many as 163,104 or 64% have qualified to enter universities. The school education system, the Principals and teachers are proud of their achievements. Sujatha Vidyalaya Matara produced two all island best results in Bio Science and Commerce while Jaffna fared best in Physical Science. Are we going to frustrate the youth of this country by stating that only 25,000 or 15% of the qualified students are eligible to enter universities and that the balance cannot gain admission to them? This is due to the limited number of slots in Government universities. There will be another 138,104 or 85% of them who will be left behind. Those who don’t make it aren’t provided with an opportunities due to the lack of planning at higher educational level. The authorities have given false hopes to our children and deprived them of a right which they richly deserve. At school level the authorities have conducted clases for the major streams such as Bio Science, Physical Science, Commerce, Arts, Engineering Technology, Bio Systems Technology and a miscellaneous stream. If you analyse the school education system closely a child starts education at age 5 and completes his or her studies when they are 13 years old. Credit should be given to our school system as there are well defined syllabuses, time tables, strict opening and closing times, discipline in the classrooms, trained teachers, school examinations, evaluations, good management of schools by the principals and deputy principals, regional and zonal administration with proper planning and follow up making free education so valuable. The service of free education provides real value for the money spent by the Government. All this is backed with a strong network of private classes attended by almost all students. Parents and all Sri Lankans should appreciate the value that the children are getting from the free education system. Also there is no disruption of the school education system and the students sit for the O/L and A/L exams on the due dates. Unfortunately we cannot see this same returns in the various other ministries and state institutions where billions of rupees and dollars is spent. In all our neighbouring countries and the developed nations such as USA, UK, Australia and Canada students, after sitting for the A/Level Exam, enter University at the age of 18 and graduate when they are 21 or 22. Medical students might stay an extra year at the university. This will enable them to give of their best during their youth and go for post graduate studies at a young age. In Sri Lanka it is rather unfortunate that students are wasting their valuable youth because of the unpredictable university education system which needs to be streamlined. Although we opened the economy in 1977 the higher education system has not been able to meet the needs of the country. Unfortunately many speak of economic development not realizing that without expanding the higher educational system, which is now a bottleneck, shows great lack of professionalism and planning. Unless we produce the required graduates who could be a vital part in economic development this country can not move forward nor will any foreign direct investment flow into the country. We need to maximise the opportunities for higher education in Sri Lanka and this should be the prime objective of any Government and the higher education authorities. We should spend the maximum resources to make Sri Lanka an education hub. This will help produce technocrats, doctors, lawyers, accountants, scientists, managers and a skilled workforce and make Sri Lanka an economically, socially and culturally rich country that could match up or surpass our neighbours and any Western country. There is also an absolute necessity to provide degree programmes which are in demand, create new skills and the additional numbers required for streams like IT, Engineering, Science & Technology, Business, Management and Services. Today India is a destination for the rest of the world for outsourcing and as a result earns valuable foreign exchange. Through these ventures the country is able to provide employment and good salaries to its graduates. Some of the best opportunities are provided for IT and Engineering Graduates. These graduates are able to converse fluently in English. Shri Jawaharlal Nehru the first Prime Minister of India gave a new impetus to higher education when he set up the Indian Institutes to learn Technology, Science, Management and Medical Sciences. These institutes are world renowned for their high quality of education. An exceptional number of graduates and post graduates are produced by these institutes. Some of them have affiliations with reputed foreign universities such as Harvard Business School of management. If we are to make Sri Lanka a knowledge hub and provide higher education to the balance 85% of the students who do well at the A/Levels, many of the less affluent students from rural areas can think of a future here and not regret not being able to go abroad. For this to happen we need to look at alternatives and provide higher education to a larger number of youth. This way we can increase the percentage of University entrants to over 50%, the amount now between15 and 16%. We need to develop the skills, the knowledge, language fluency and of course English skills, research capability and the opportunities for the youth to be trained in disciplines which will provide a future to them in their motherland rather than look for opportunities overseas. English will make our students global citizens, which will be appreciated by all. At present many Foreign Universities conduct degree programs through private institutes without any control from any governmental educational regulator such as the University Grants Commission, which is responsible only for local universities. These degree programs are also offered at very high costs and not regulated locally. Also many students go overseas pledging their parents’ house and property to obtain bank loans so that they can enter foreign universities. It is known that many of them after qualifying do not return to Sri Lanka Hence we lose some of our best students. We should try and attract these ‘brains’ to our motherland. Have we realized that schools spread throughout the country using the school education system are preparing students for one common exam? Is this not an eye-opener for the higher education authorities to have a similar system for university education as done in other countries? Therefore we need to provide a solution to the problem of being unable to provide a quality university education at an affordable cost to the many who are deprived of a University education in their motherland. We must take a cue from how other countries to solve this problem. One of the best opportunities available for Sri Lanka is to consider the Indian Model of having Affiliated Colleges to Universities. This system has been very successful and has produced a large number of university graduates in India in different fields of specialization. This system would immediately increase the intake to university degree courses via the College system with the entry regulated by the University Grants Commission. All the syllabi are provided by the universities and they also conduct exams. The education will be provided by the Colleges. The Affiliated College System is a well tried and tested system of our closest neighbour India. This system has benefited a large number of students seeking higher education and has contributed immensely to the development of the national economy. This is similar to the highly successful school education system in Sri Lanka where the respective schools prepare students for the GCE O/L and GCE A/L exams. If this system can now be expanded to the Higher Education sector, then we would immediately remove the barriers to higher education in Sri Lanka. India has universities established under the University Grants Commission Act which have territorial jurisdiction over a particular area. According to the latest data from the University Grants Commission the first five universities with the largest number of colleges are as follows: Hyderabad Osmania University with 901 affiliated colleges, Pune University with 735 affiliated colleges, Nagpur University with 800 colleges, Rajasthan University with 735 colleges and Mumbai University with 711 colleges. For example, in Pune, they have University of Pune which has jurisdiction over three districts, Pune, Ahmednagar and Nasik. Similarly there is University of Mumbai, having Aurangabad, Kolhapur, Amravati, Nanded and Solapur districts in the State of Maharashtra. These are all State Universities which are established by the State Government, but recognized all over India and the world. All these Universities have affiliated Colleges in their jurisdiction. Pune University five years ago had 474 affiliated colleges with the total student population of 550,000 and Mumbai University 531 affiliated colleges with 650,000 students. The syllabus and the examination are decided by the University and the examinations are also conducted by the University. The final degree is awarded by the university.There is no distinction such as Internal and External for those students who are qualified to enter university, a system which exists in Sri Lanka. This would mean that the 163,104 students who qualified at the GCE A/L to enter universities should all be treated as internal students. Affiliated colleges are the mainstay in the country’s Higher Education System in India and they enroll 89.3% of the undergraduate students and about 72.2% of Post Graduate Students. Some are fully funded by the Government. There are also the private colleges. Depending on the funding and management they are classified as follows. Colleges could be Grantable and Non Grantable. Grantable means they are given grants by the Government and hence the fees for these colleges are quite low. There is also a fee committee established by the Government to regulate the fees for these colleges. Examinations are conducted by the University and students of colleges affiliated to the University appear for these examinations. It has also been noted that many of the Colleges and Private Universities in India have been set up under Trusts Ordinance and are Not for Profit making and are self funding. The Universities Act should be changed to provide for University Colleges to be set up and the relevant regulations made. All Universities must be given authority to approve University Colleges with the older and reputed universities playing a major role in making this scheme a success. (a) Government to set up colleges affiliated to universities by using some of the institutes such as the Advanced Technical Institutes and Technical Colleges together with new Colleges in the different districts. (b) Private educational institutes currently in operation and new ones encouraged to set up affiliated colleges. The Government should give partial or full grants to these institutes and provide all assistance. (c) Use of new technology to make use of e learning, video lectures to provide lectures to university students. (d) As a best practice Affiliated Colleges should be Non Profit Organisations and preferable be set up under Trusts Ordinance or as Companies Limited by Guarantee. These organizations will also be self funding and use all surpluses for the development of the institution. Government buildings and school premises must be made available in the afternoon session for the university colleges where required in the initial stages in the rural areas and other districts. A scholarship fund must be set up by the Government to fund needy students. The admission to the affiliated colleges must be done by the University Grants Commission based on A/L results similar to the selection to other state universities. The Degree Certificate will be issued by the respective Universities. The syllabus will be provided by the universities and exams also conducted by the Universities.The education will be provided by the affiliated colleges. Make Sri Lanka a Knowledge economy by increasing the numbers entering higher education and providing opportunities for qualifying students at A/L to pursue their higher education. More students would be able to obtain a degree qualification and the number of educated youth and more skilled graduates will be available in the country. This will immediately increase the percentage of students entering university from 15% to above 50% and thereafter to be increased annually. The courses will be provided free in Government owned colleges and at an affordable cost to local students where the Government has part funded the colleges. This will save Valuable foreign exchange going out of the country. Local Professors, Lecturers in the universities who undertake lectures will be amply rewarded for their hard work and this would result in stopping the brain drain which is a serious problem for the country. 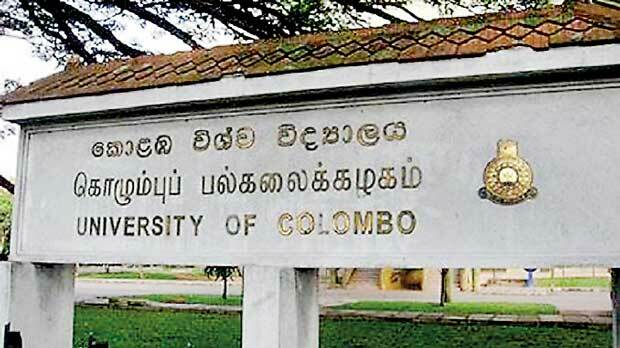 Those who are in overseas universities will be encouraged to return to Sri Lanka and start their own Colleges and will attract overseas Sri Lankans back to their home country. In subjects where colleges are short of lecturers their recruitment could be done from overseas countries. Government could be a facilitator and as a regulator control the quality and fees of these colleges through the Universities and the UGC. With the new Technology Stream introduced at the A/L more colleges could be set up for skills and technology that are in demand and will advance economic development and the development of industry, Commerce and the services sector, plantation and agriculture. The youth of this country will see a future in their motherland and opportunities to earn a degree. This will also ease the problems of parents who are forced to mortgage whatever assets they have to send their children overseas for higher education. Employers will be happy that they will be able to find sufficient skilled persons for employment in their businesses. They would like to recruit young graduates who will be more trainable at a young age compared to the current situation. The money invested by the Government in Primary and Secondary Education will be amply rewarded by enabling students to go for higher education and to University affiliated colleges and increasing the percentage of students going to Universities. A close link will be established with the private and public sectors to conduct courses in demand with Science and Technology taking a prominent place in addition to the others. Will attract foreign direct investment to Sri Lanka to start knowledge based projects for the export market due to availability of technically skilled graduates in sufficient numbers compared to the current short supply. The Government should give top priority to set up Sri Lankan Institutes of Technology, Science, Medical Sciences and Institutes of Management similar to Indian Institutes of Technology (IIT) and Indian Institutes of Management (IIM), Sciences, medical sciences which should be pursued vigorously with links with reputed foreign universities as these institutes have a direct bearing on the development of the knowledge economy. Although we are celebrating 40 years of the open economy, the National Higher Education system has not been geared to meet the aspirations of our youth in keeping with global developments. During the past 40 years we have provided less than 15% of the students qualifying at the advanced level to enter higher education. As a result we have sacrificed a minimum of 4.0 M of our youth losing the opportunity to proceed to higher education and enter universities which has been successfully done in other countries. We cannot afford to have a closed National Higher Education system which needs a radical change if the country is to face the new challenges in a globalized world and advance to a knowledge economy. We are unfortunately falling behind many of the other countries that are progressing at a very rapid level especially in Science and Technology and skill development where we do not have sufficient numbers. In fact Sri Lankan experts have helped many of these countries such as Singapore and Malaysia to forge ahead in education, technology and economically. With the results of the 2017 Advanced Level exams 163,104 have qualified to enter university, but under the existing university intake only 25,000 or 15% will gain admission and is highly inadequate. The balance 85% or 138,104 are deprived of an opportunities to pursue their higher education and students and parents are frustrated that despite them qualifying, their future is going to be bleak as they will be shut out from universities for no fault of theirs. Those who have the money to go overseas using our valuable foreign exchange and many do not return to Sri Lanka after qualifying which is another big loss to the country as well as to the parents. The majority who have qualified at A/L are from the rural areas where free education has made them eligible to enter university and pursue a university degree qualification, get a good job, overcome poverty and be useful citizens to the country. The only method available to overcome this barrier is by implementing the University Affiliated College System which will provide additional places to those who otherwise are shut out of local Universities. By implementing these new proposals tried and tested in neighbouring India and other countries would benefit the large number of educated and qualified youth after A/Levels to see a future in Sri Lanka through higher education. We should also realise that the current school education system where education is done in the respective school class rooms to sit the GCE A/L is similar to the affiliated college system where the college is affiliated to a university and conducts education or lectures to sit for the University exam. In the school system education is provided in islandwide schools for students to sit a common exam the GCE O/L and GCE A/L and in the Affiliated College System they sit the university exam conducted by the Universities and get a graduate or post graduate certificate from the respective university. We need a bold and expeditious decision to be taken by the government to meet the aims and aspirations of the cream of this country the qualified youth produced by our own school system. This will also enable the country to produce younger graduates at the age of 22 or 23 without wasting time unnecessarily and have youthful graduates who are more flexible and prepared to serve the country and the world. (Prof. Lakshman R Watawala FCA, FCMA. FCMA(UK), CGMA, FCPM is the President of the Institute of Certified Management Accountants (CMA) Sri Lanka and the Founder President of AAT Sri Lanka. He also holds the post of chairman at Peoples Bank and Peoples Merchant Bank and National Insurance Trust Fund.